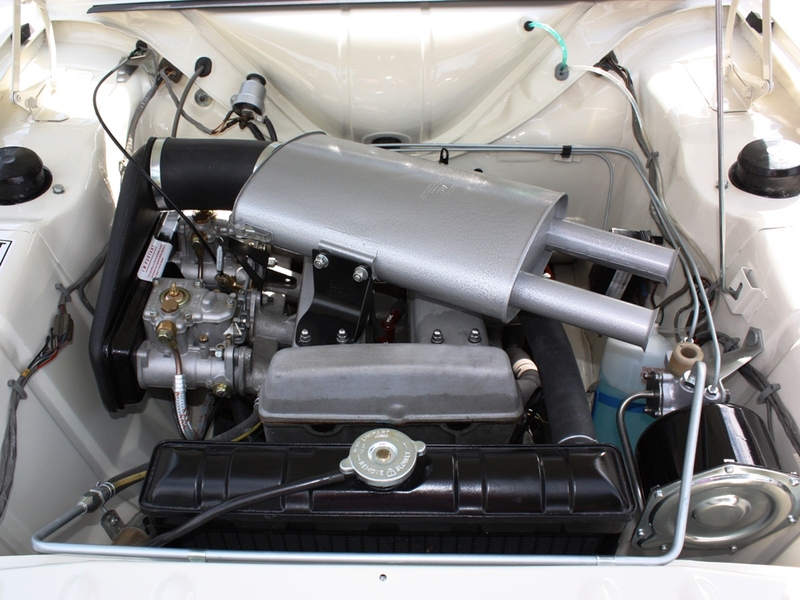 This early Mk2 has had a full restoration completed 2015 by Dave Cook, better known in Lotus Cortina circles for his immaculate Mk1 Lotus, SWC 42D. 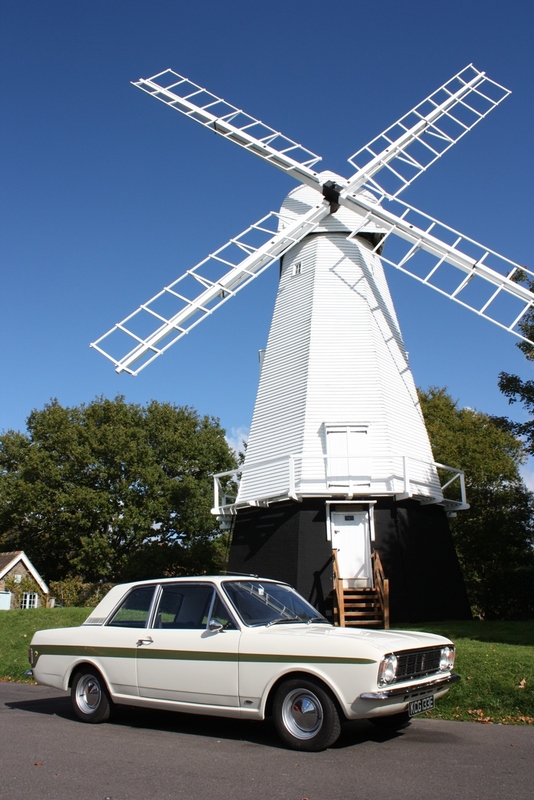 Like many of us, his interest in Lotus Cortinas started in the 70s when, as a teenager, he felt that his Blue Mink 1300 deluxe wasn’t providing the required performance! 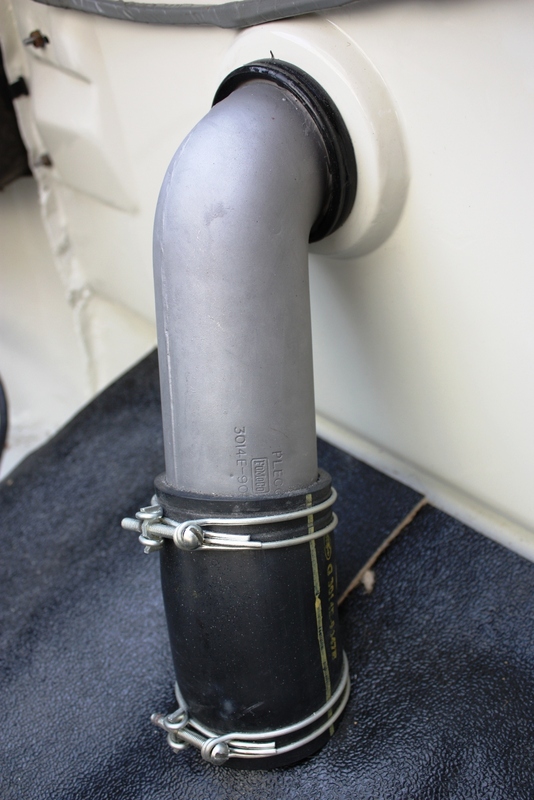 OUF 901G replaced it after a few months, and that provided a year of Lotus Cortina driving before being moved on when a company car came along. 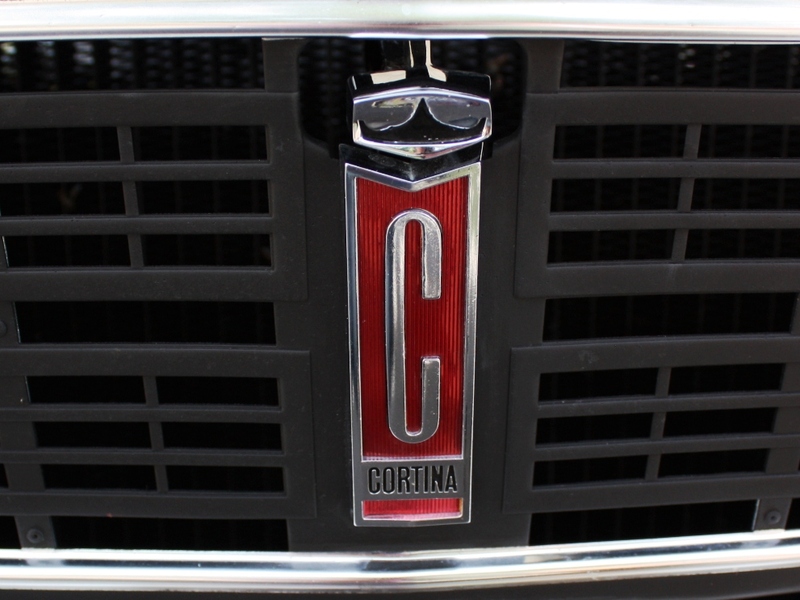 The Lotus Cortina bug had bitten, and many years later in 2006, Dave bought SWC 42D, an Aeroflow Leafspring Mk1 Lotus Cortina, and after some renovation and detailing to original specification, Dave produced the award winning car that it is today. 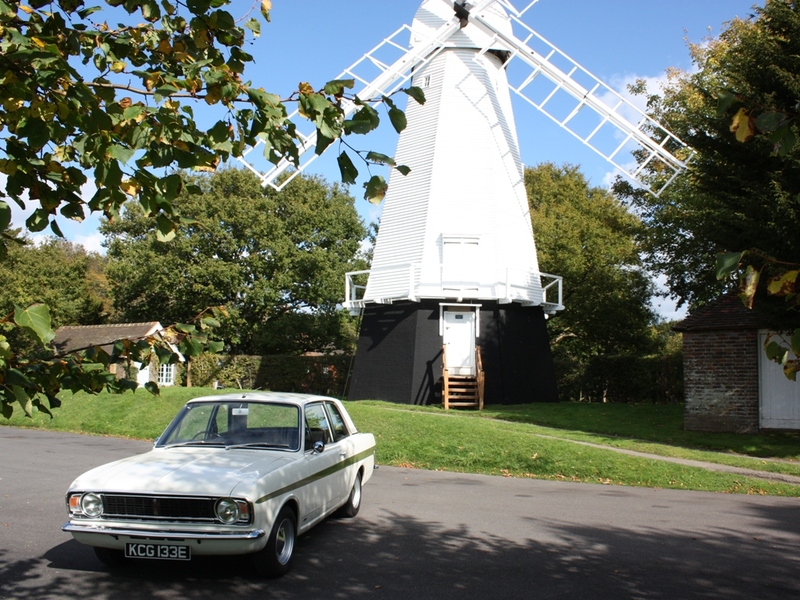 Obviously a man who needs more Lotus Cortina challenges, Dave acquired KCG 133E, an early Mk2 Series 1, in 2014. 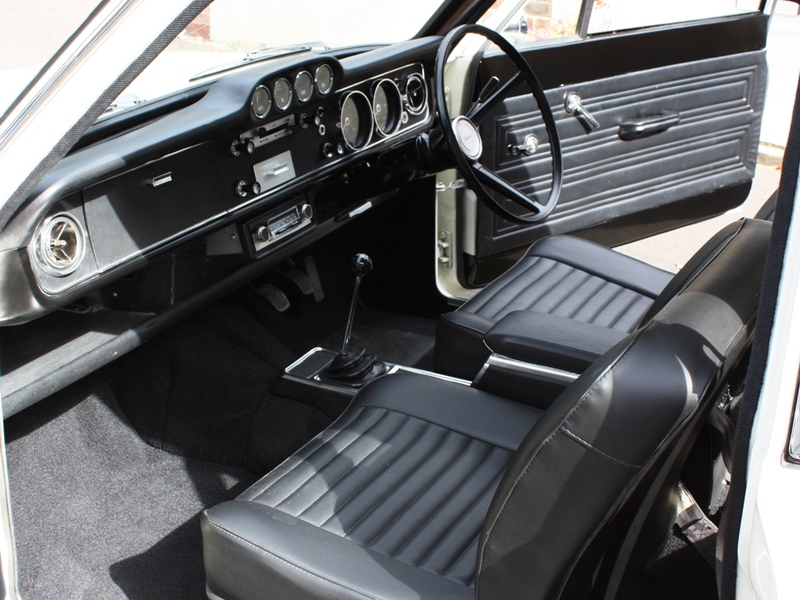 A friend had asked him to look at the car to see if it was worth doing, and whilst his friend ended up not buying it, Dave could see the potential in the car and took it home. 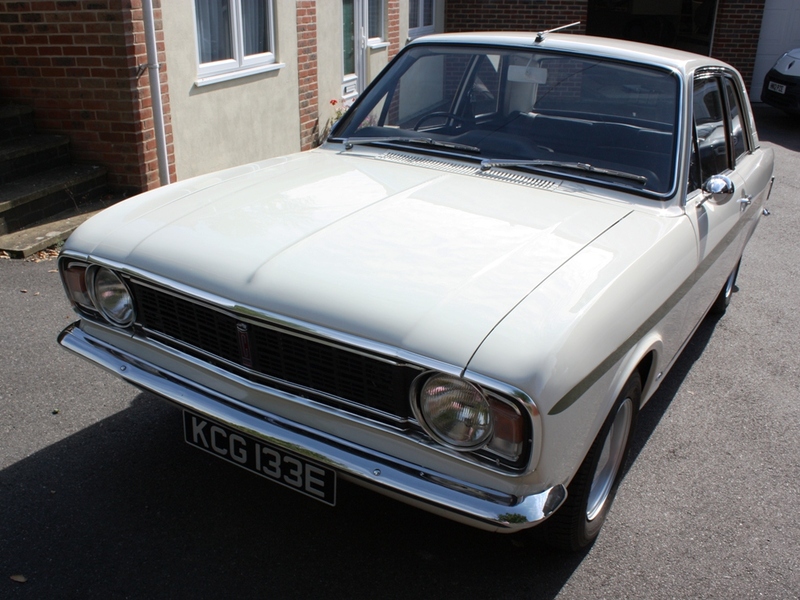 The similarities in the cross over from the MK1 to the MK2 are clear and the car was all there…nearly! 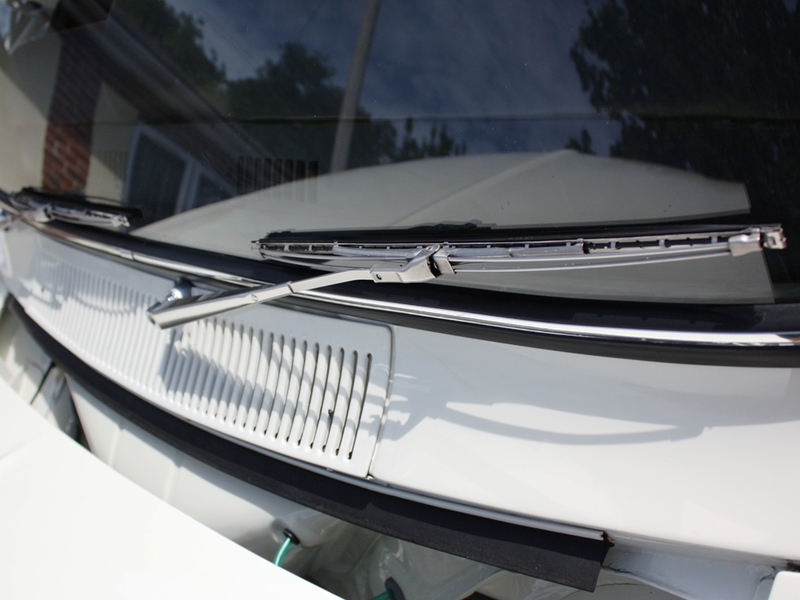 What started out as a ‘tidy up’ and returning the car to standard condition ended up as a complete strip down and re-paint. 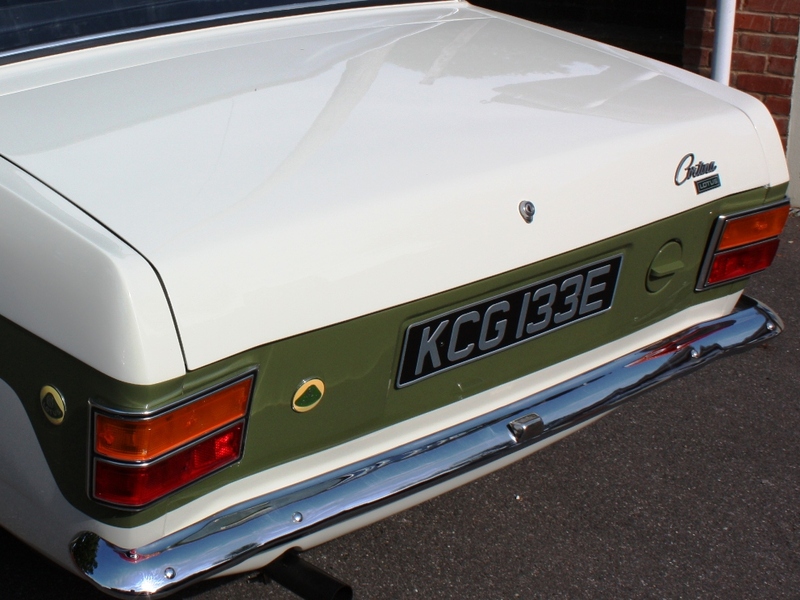 The car turned out to have a very solid and virtually rust free shell, which is very rare for a Cortina that has lived in the UK all of it’s life. 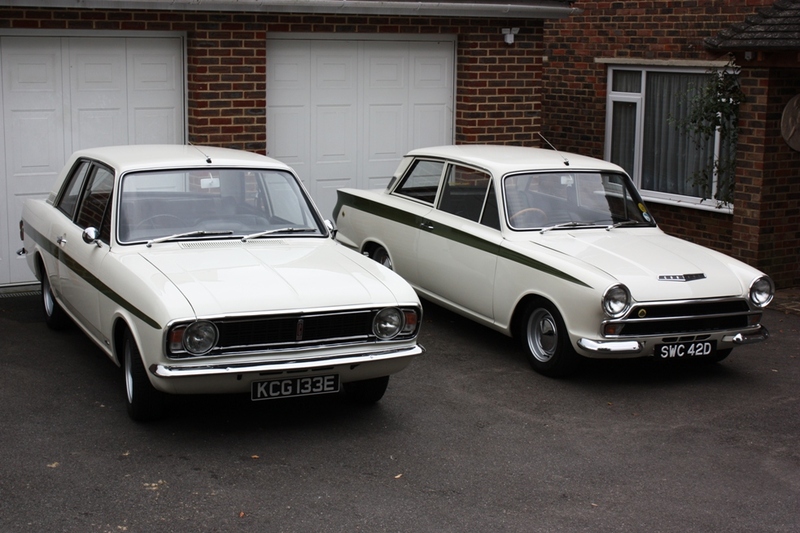 So now Dave has a stunning pair of cars in the garage. 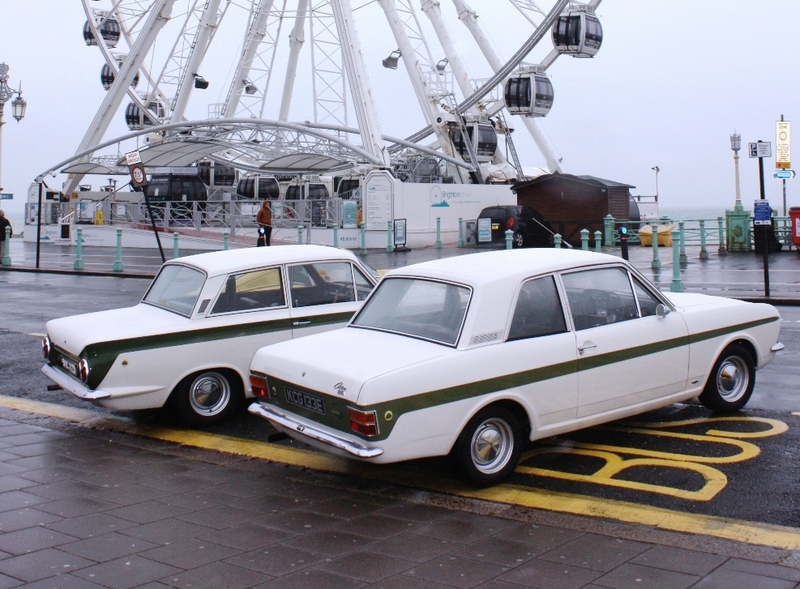 The last of the Mk1 Lotus Cortinas, and the first of the Mk2 cars. Perfection! Thanks to Dave for supplying the photos and identifying the ‘features’ of the early cars outlined below. 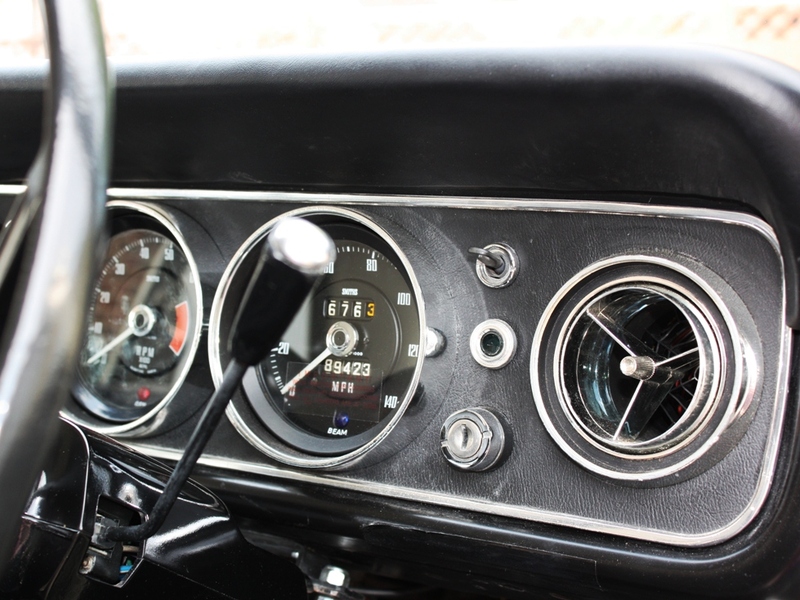 For identification of the features and changes of all 3 variants of the Mk2 Lotus Cortina look in the Mk2 Originality section. Look out for this lot in the photos! 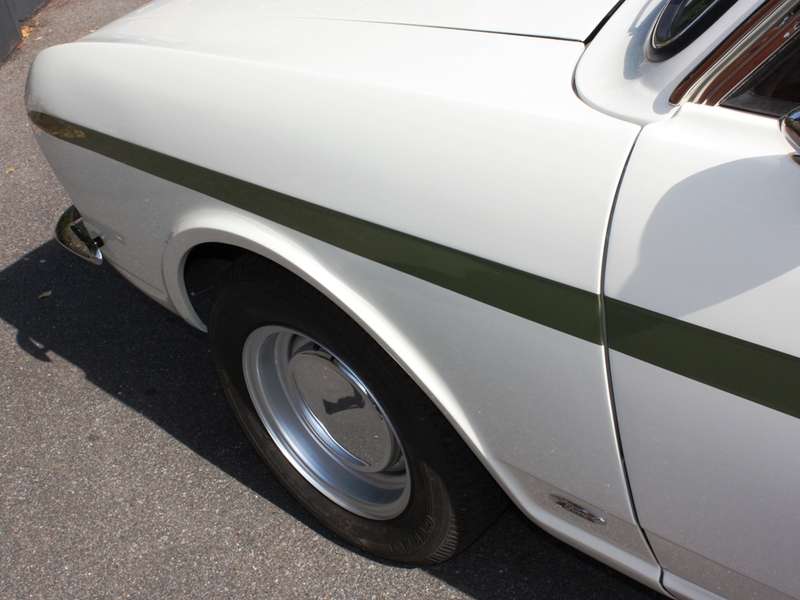 Alloy Sill guards (tread plates) are similar to the MK1 but have a squared off profile and are plain with no ‘Ford” oval. 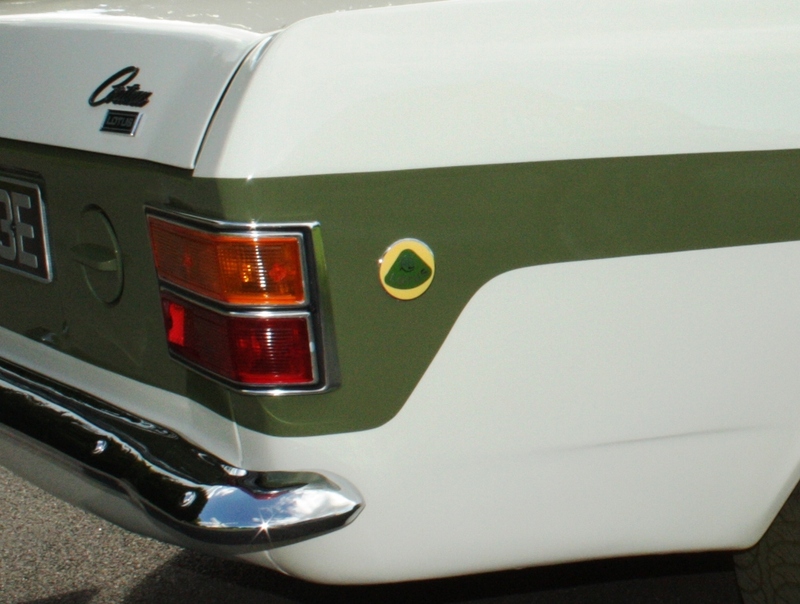 Oval ‘Ford’ badges applied to the bottom rear of BOTH front wings. 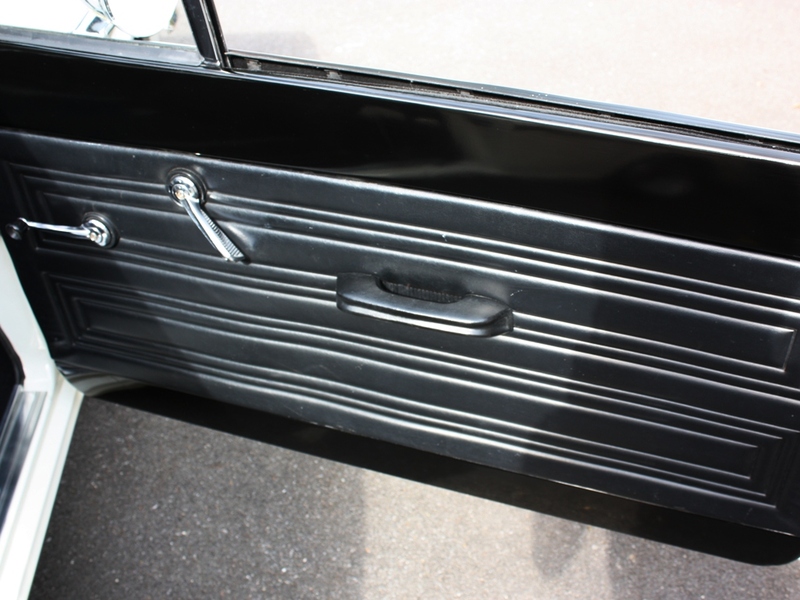 Usually fitted only to the passenger wing. 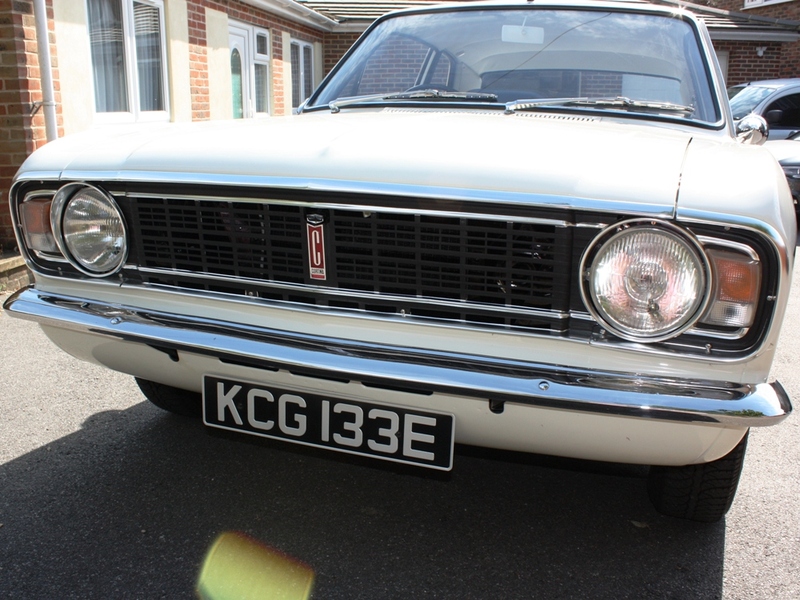 Note the ‘Ford’ oval badge at the bottom of the front wing. 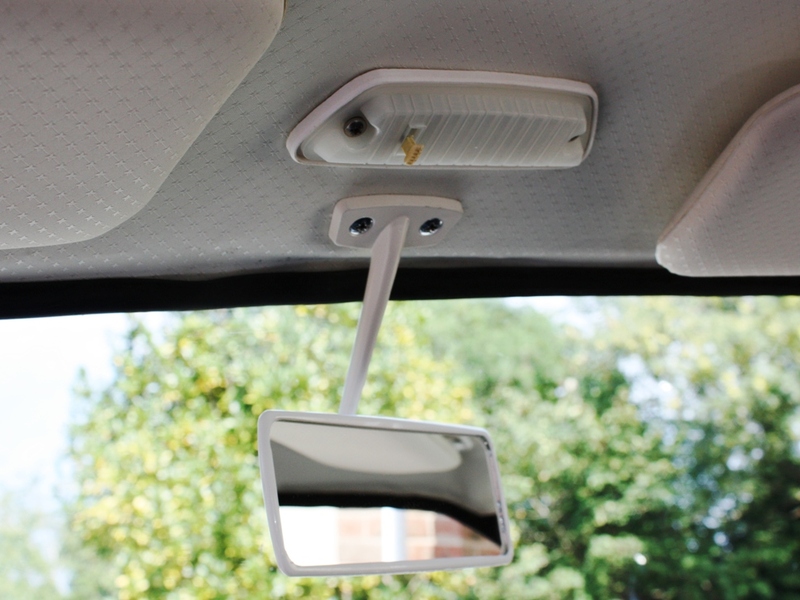 These were fitted to all Ford cars at the time, and always one only, on the passenger side, presumably so it could be seen when parked. 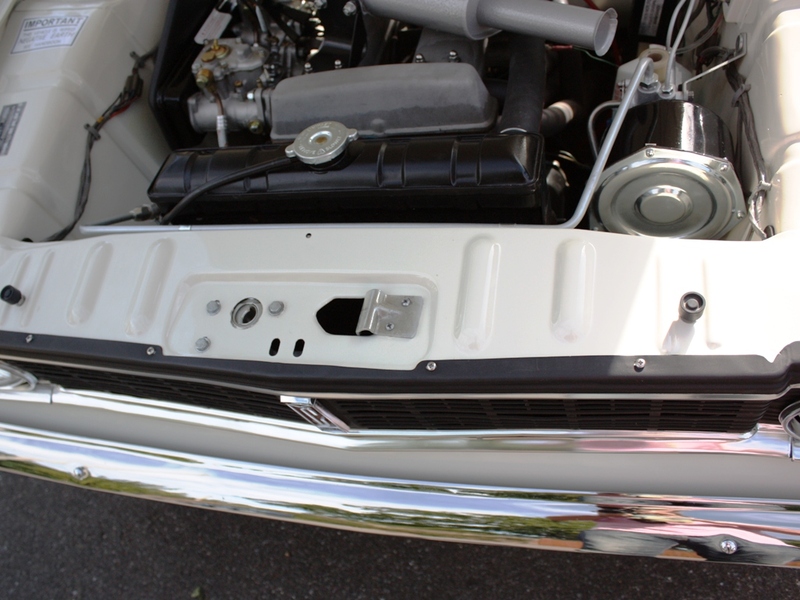 The Series 1a is unique in having a badge fitted to the driver side as well (it is in the parts book!). 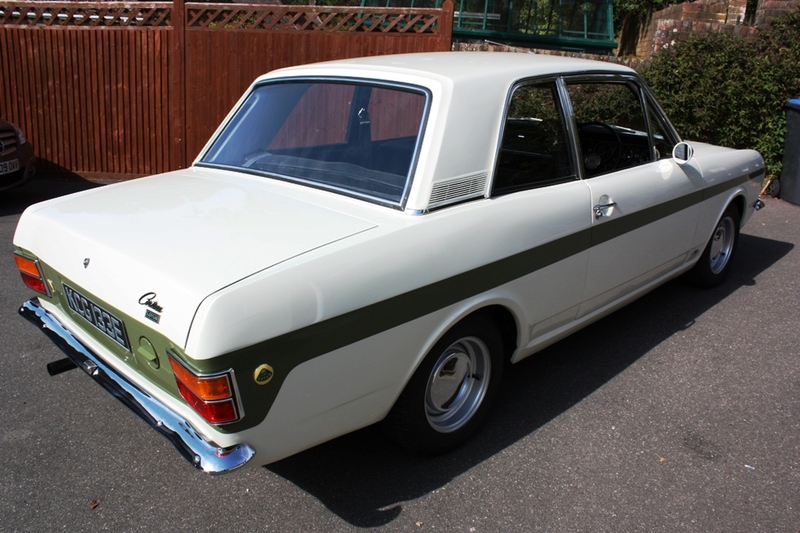 The only reason I can think of for this variation is that the car had the Lotus roundel on each back wing, and some Ford marketing exec got a bit upset and wanted the same number of Ford badges on the car! 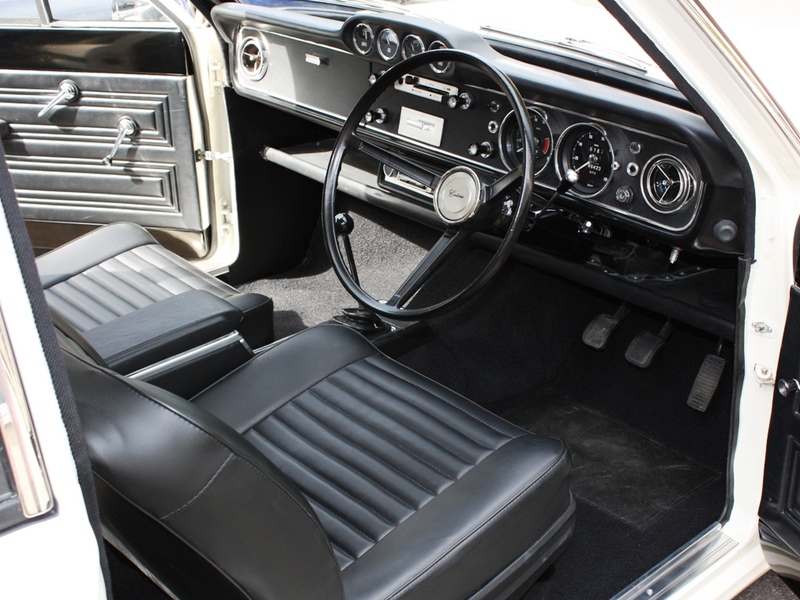 The interior is all GT Cortina, with the exception of the Speedometer and Tachometer, which were Lotus Cortina only. 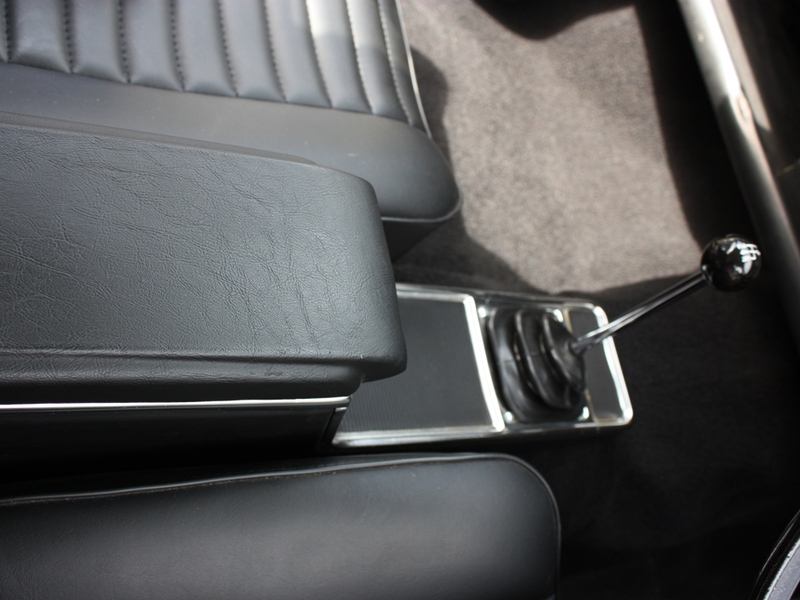 Note that the metal parts in the interior were painted satin black for all cars with the black interior (nearly all Lotus Cortinas!) 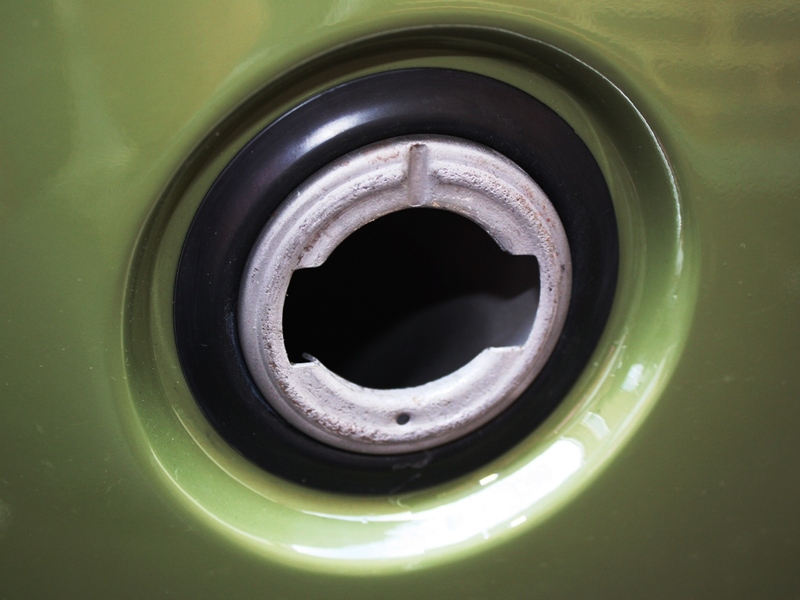 with some coloured cars retaining body colour for the metal parts. 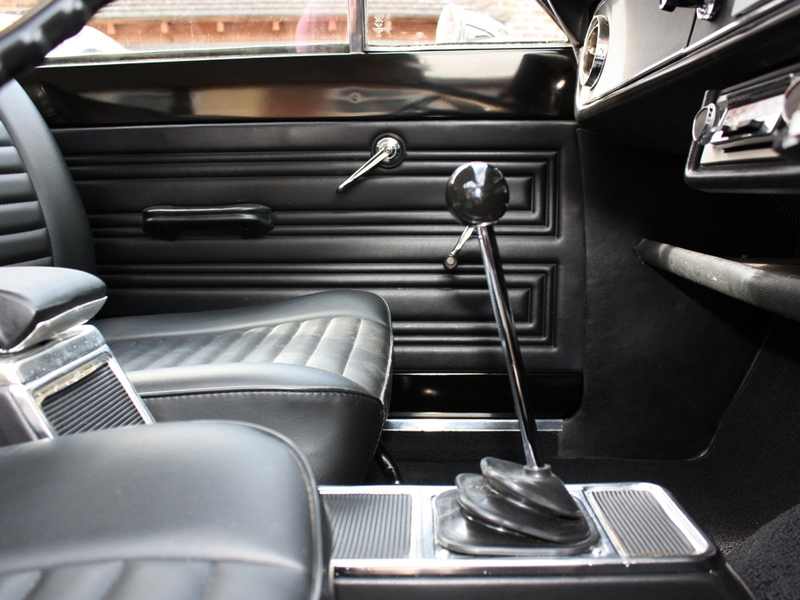 Note the short centre console, and consequently the lack of clock. 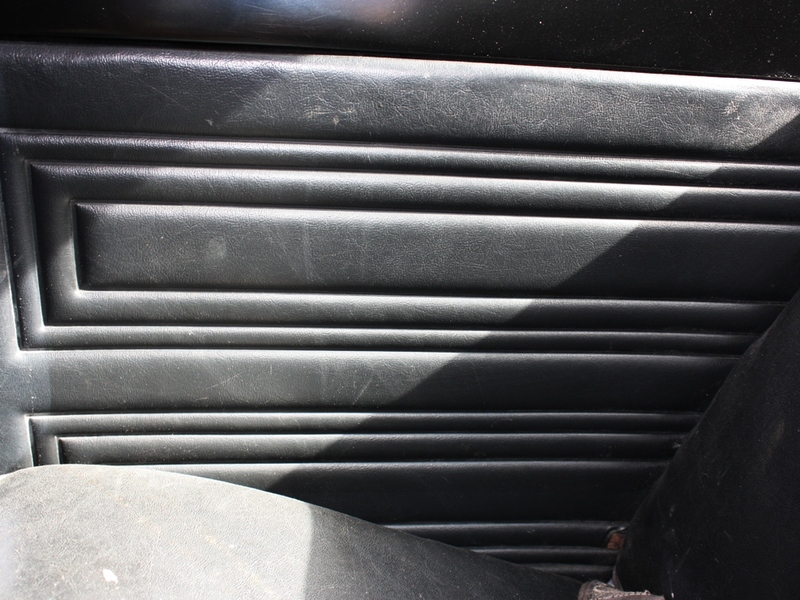 The Series 1b in Lotus, GT and the new 1600E form, had an additional moulding on the front to house a clock. 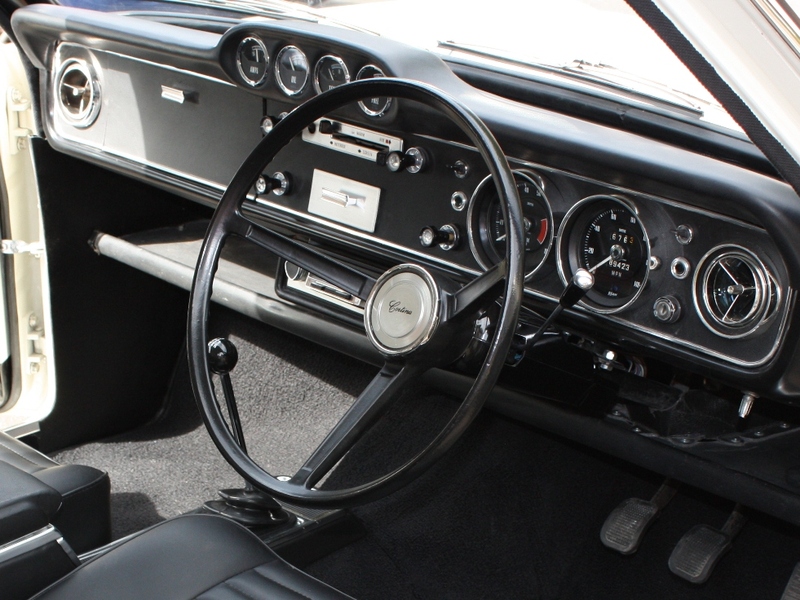 Note the standard GT steering wheel and gear knob on the early car. 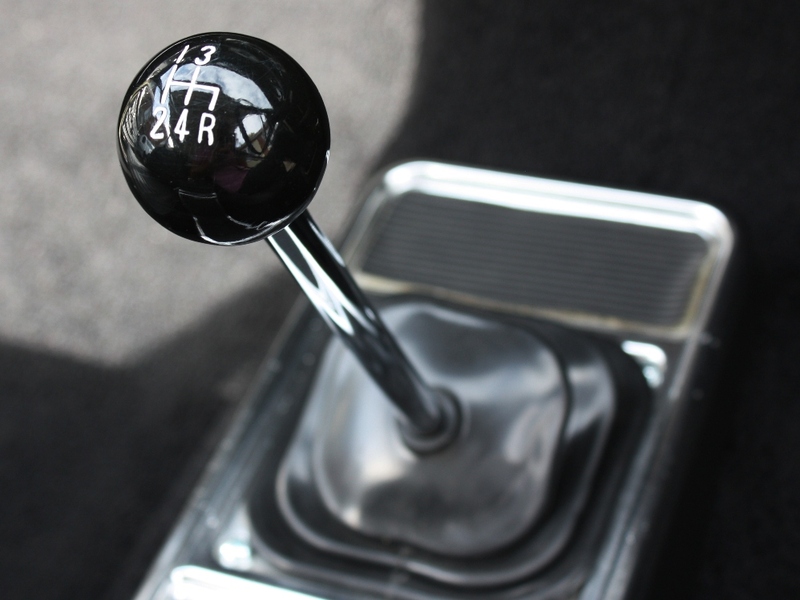 This was to change with the Series 1b, which was launched alongside the new 1600E, and it used that car’s steering wheel and gear knob. 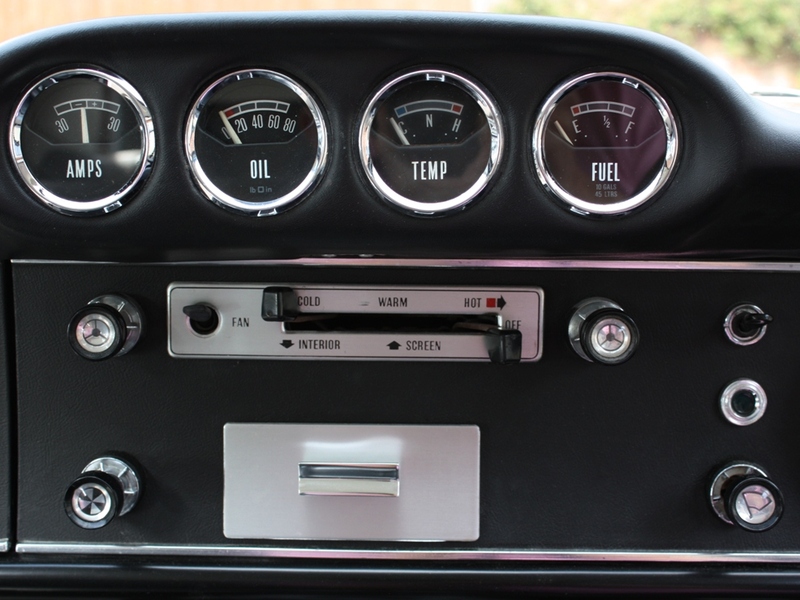 The Lotus-only instruments always had a satin black bezel, with the speedometer calibrated to 140 mph, and the tachometer redline starting at 6500 rpm. 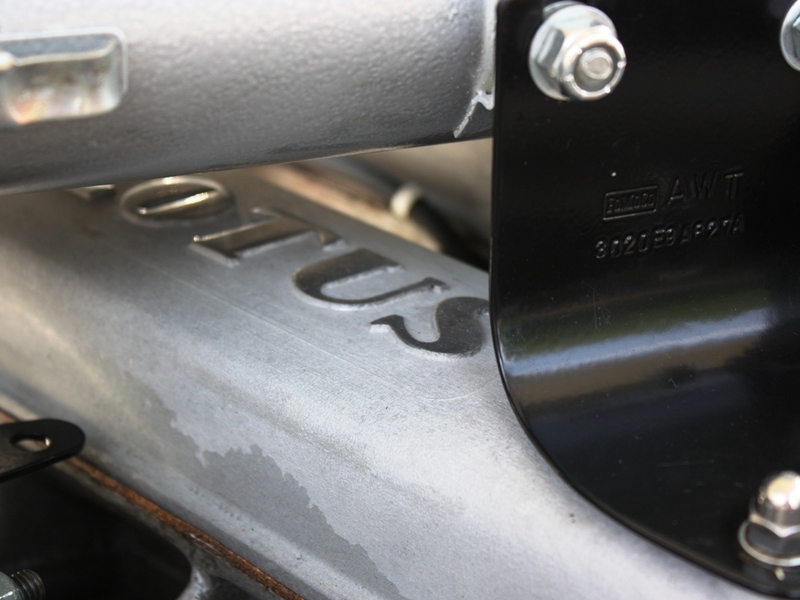 Early cam cover with the ‘Lotus’ script on each side, which can’t be seen with the air cleaner in place! 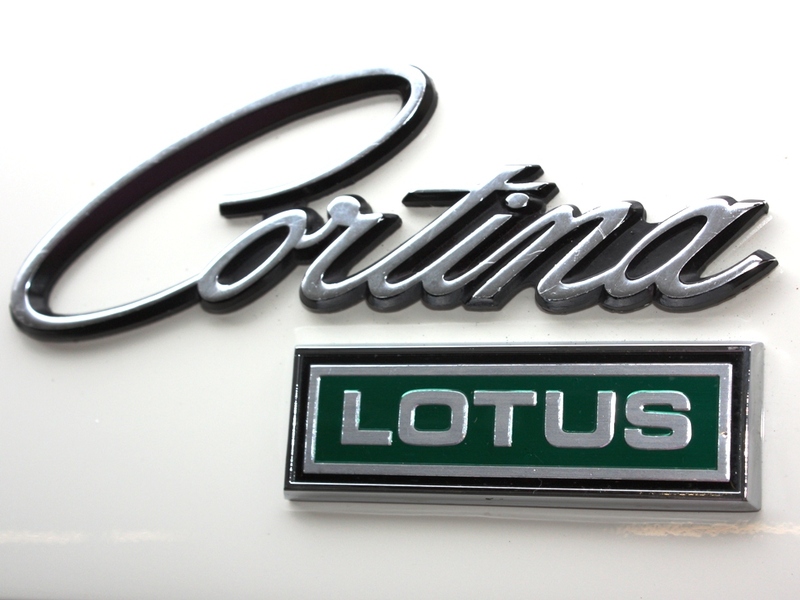 This was changed after a few months to have ‘Lotus’ on the front. 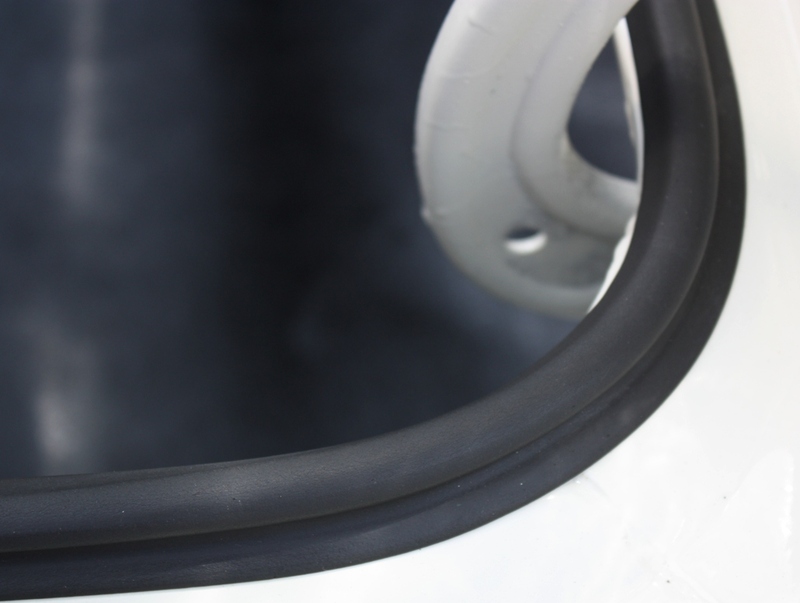 The Lotus script can be seen peeping through, which wasn’t good enough for Lotus. 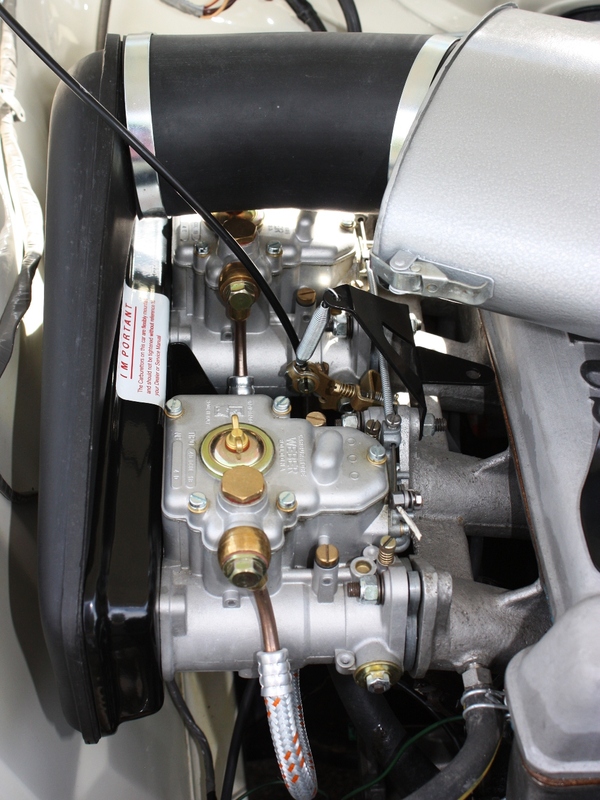 Type 18 Weber 40 dcoe carburetors were fitted to the early cars, replaced a few months later by the Type 31 model. 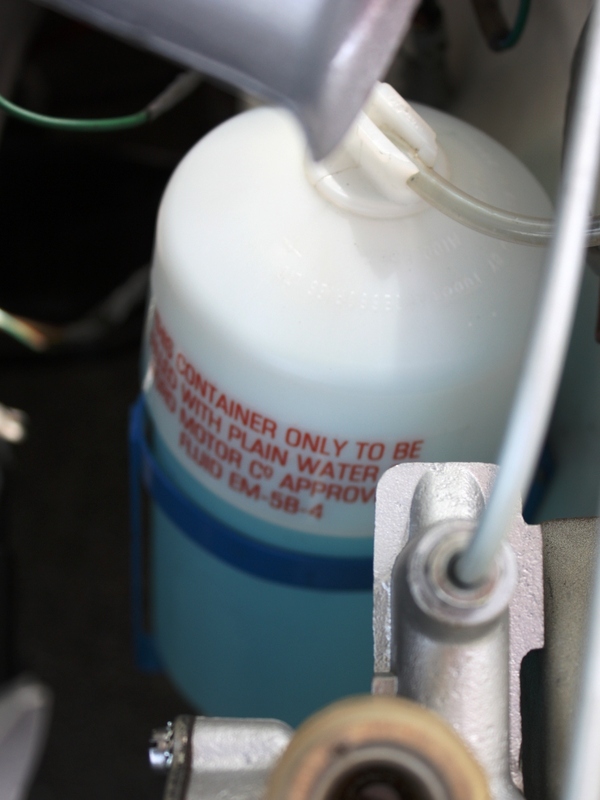 Probably the hardest part to find in as-new condition is this original washer bottle. 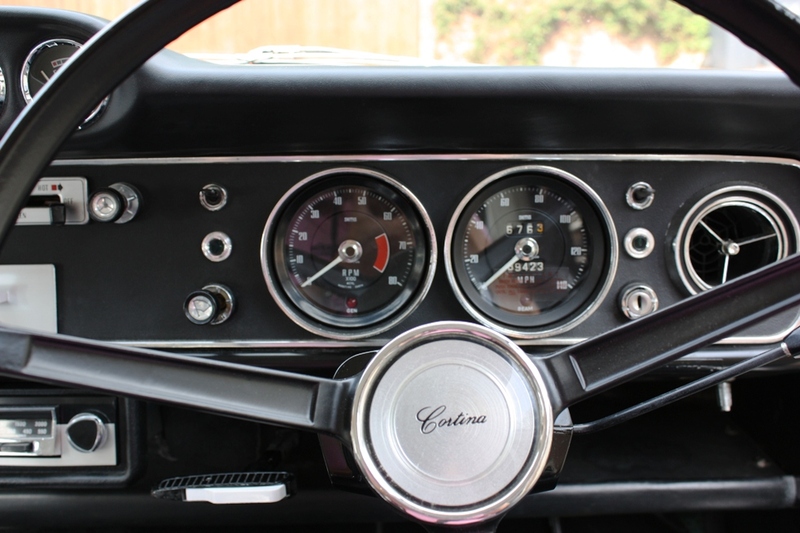 It’s much larger that the standard Tudor bottle, and was unique to the Lotus in the Cortina range. 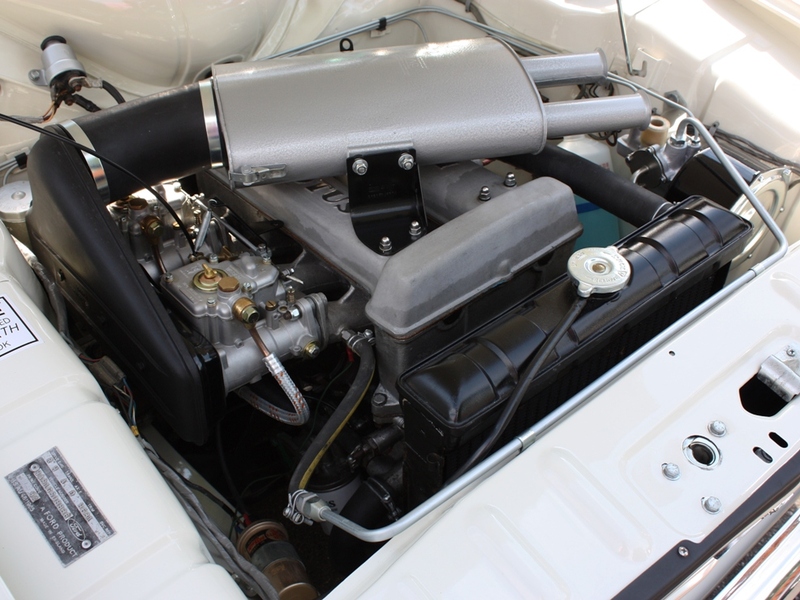 It was also fitted to the Elan S4 for a year or so. 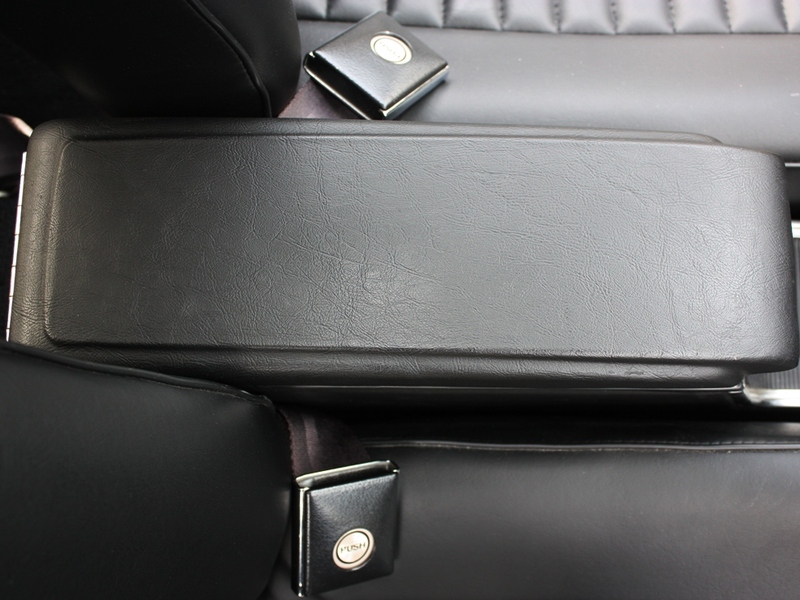 Each of the air cleaner brackets is stamped up with it’s part number and FoMoCo logo. 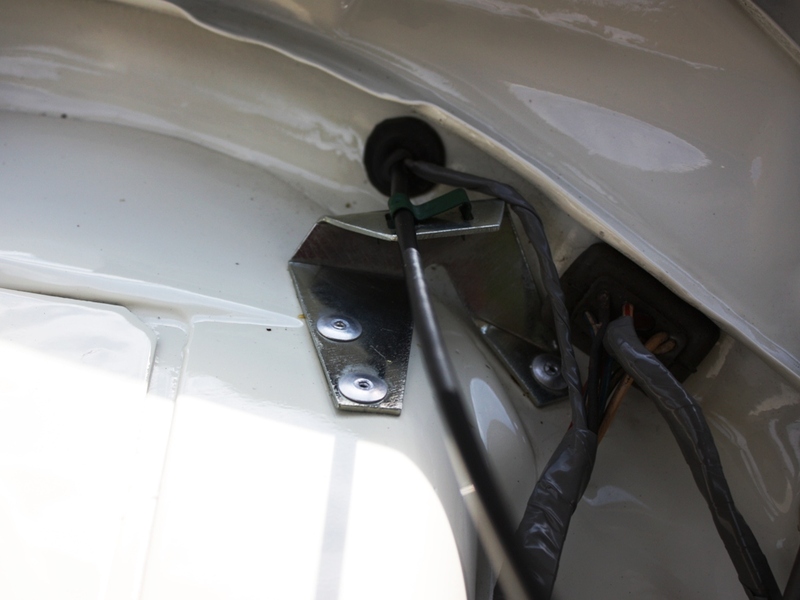 The large throttle cable securing bracket looks like an afterthought, but it is a genuine Ford part! 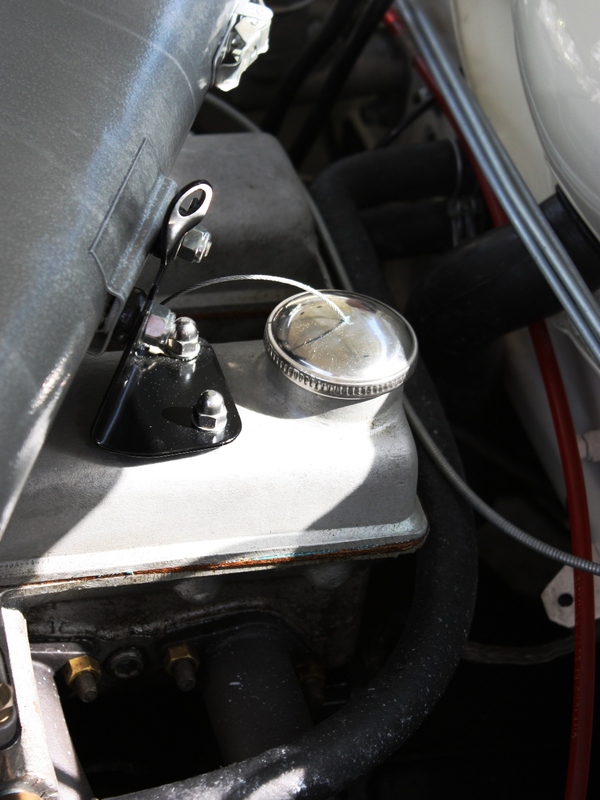 It is a little smaller in the Series 1b and Series 2 cars, but still riveted on. 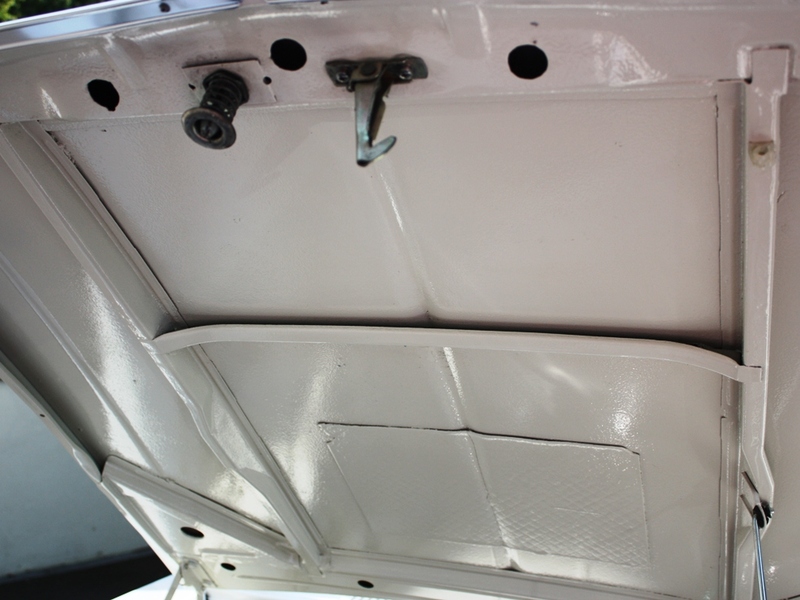 The extra bonnet brace was fitted to all early Mk2 Cortinas. 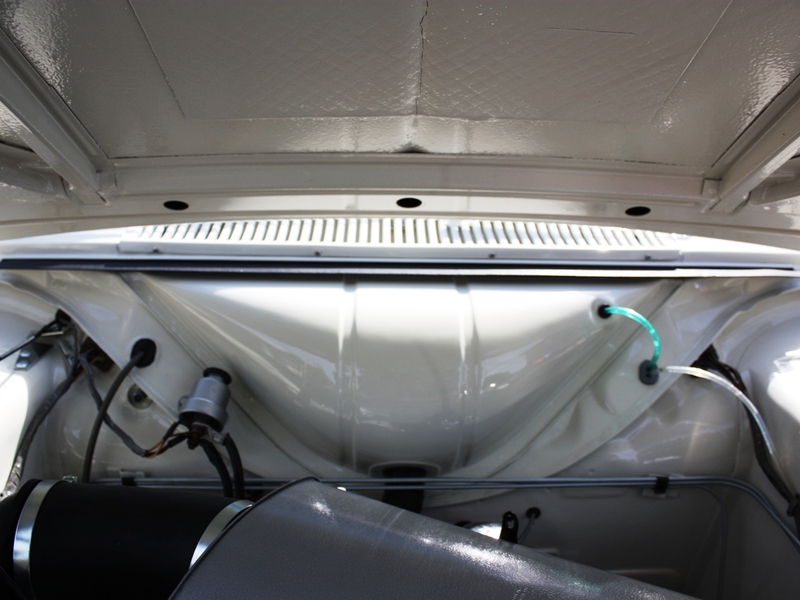 The rubber strip at the rear of the bulkhead was intended to divert water coming off the windscreen either side of the engine. 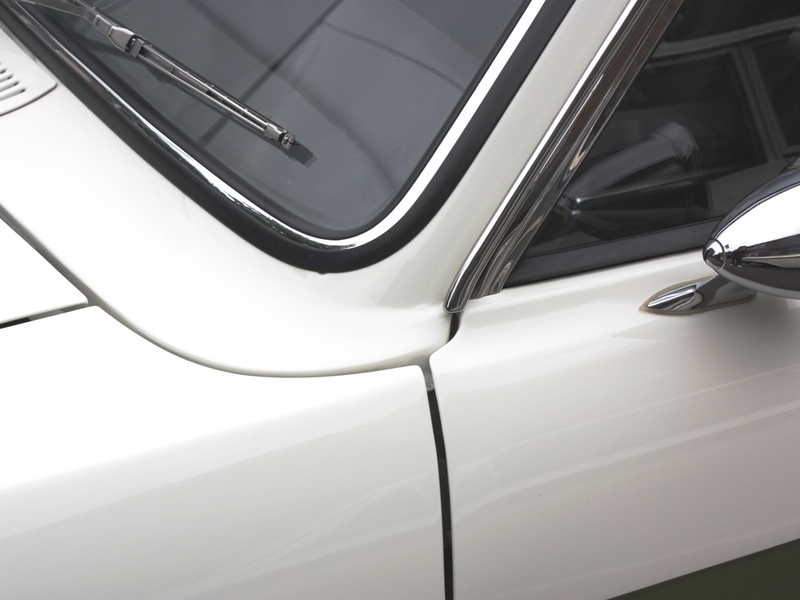 It was kept for the Series 1b, but dropped for the Series 2 with a change to windscreen aperture and pillar / trim re-design. 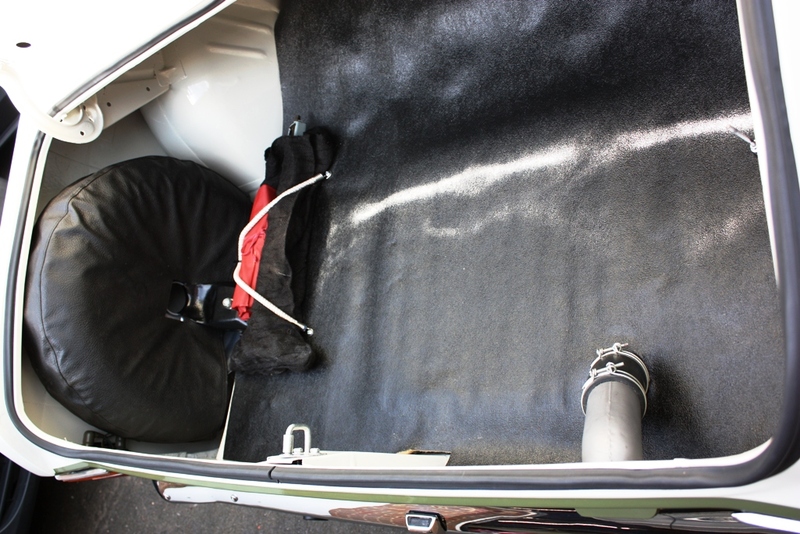 The boot of the Lotus Cortina has two differences with it’s non-lotus sibblings. 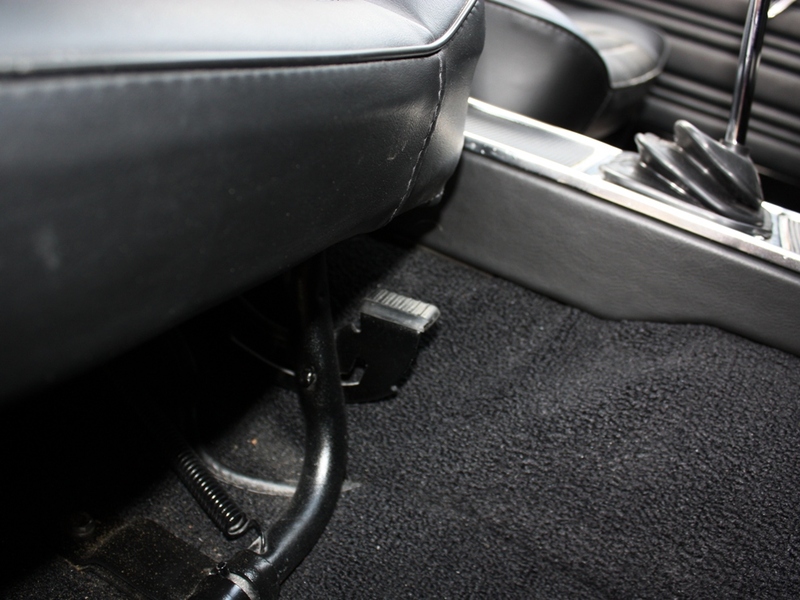 First, it had the battery mounted in the boot on the right hand side. 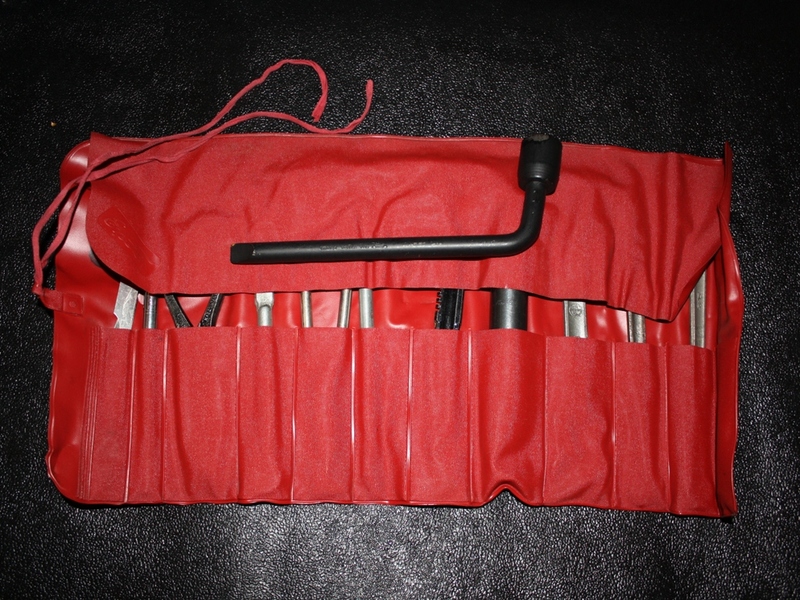 Second, it had a bungee cord attached to two points on the boot floor, and secured the tool kit with a hook that was attached to the inside of the wheel well. 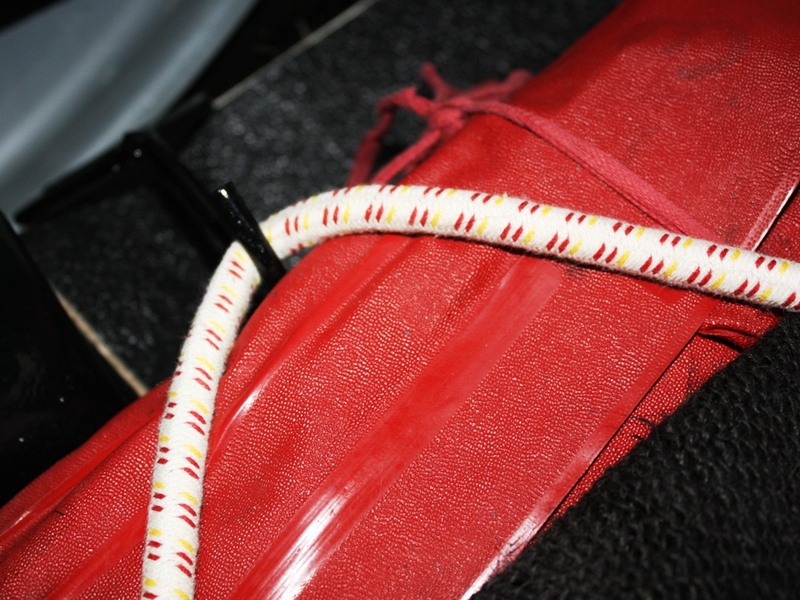 Dave had the bungee re-made to be as close a copy as possible to the original remnants that came with the car.